So part of the 90-Day Spending Fast Challenge is purging stuff I don’t need or using what I have. So keeping with what I have = old veggies; I decided to make Left-over Veggie Stew. This way, if I don’t want to eat the veggie stew now, I can package it up and freeze it for a later date. This is the easiest stew/soup you will make in your life. You can thicken up this recipe with some cornstarch or arrowroot if you have any. I’ve even thrown in Liquid Smoke, soy sauce and a chili to change it up. 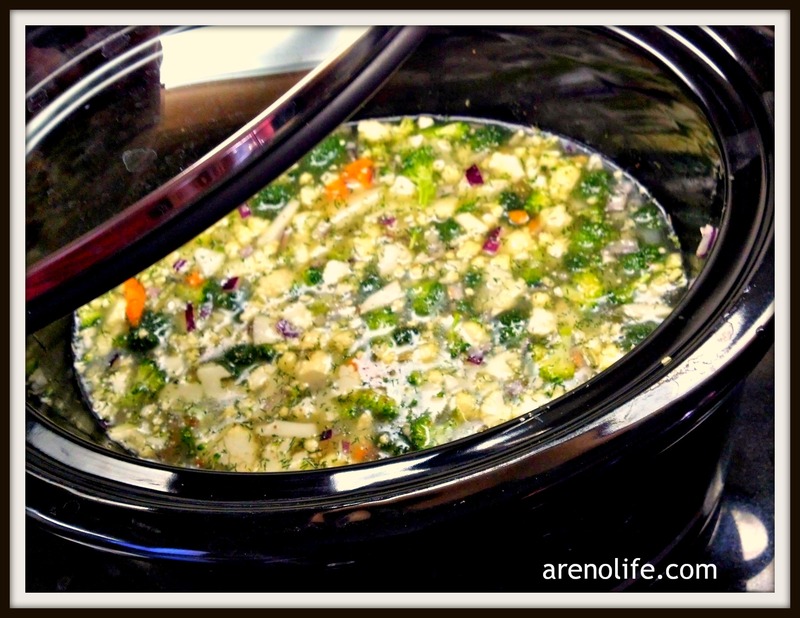 Make sure to taste the broth before starting your slow cooker. If it’s bland now, it will be bland later! I like lemon to add some zest for my stews. 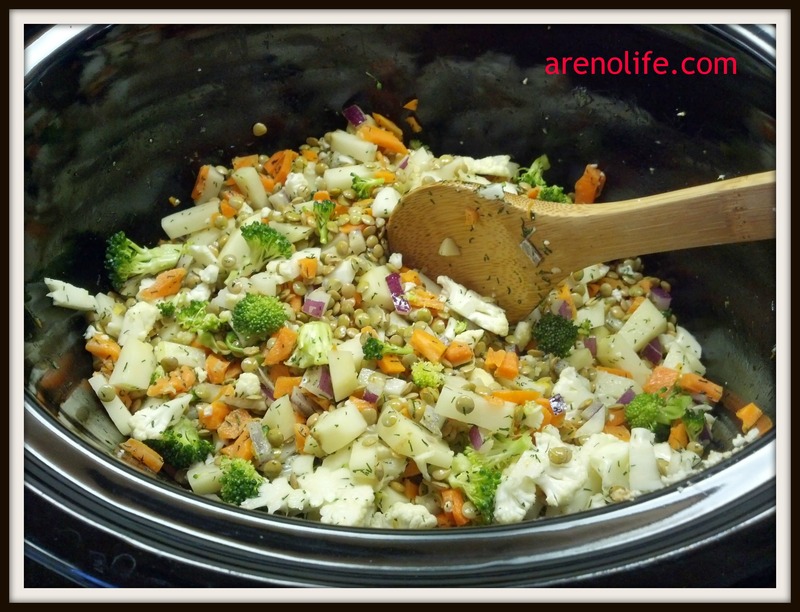 Turn on the slow cooker on low and set aside for 8-12hrs. Next Post 90-Day Spending Fast Challenge: Use it of “Lose” it!